I spent New Year’s Day 2015 attending a funeral of sorts for someone I had never met. It was a moving event, literally and figuratively. 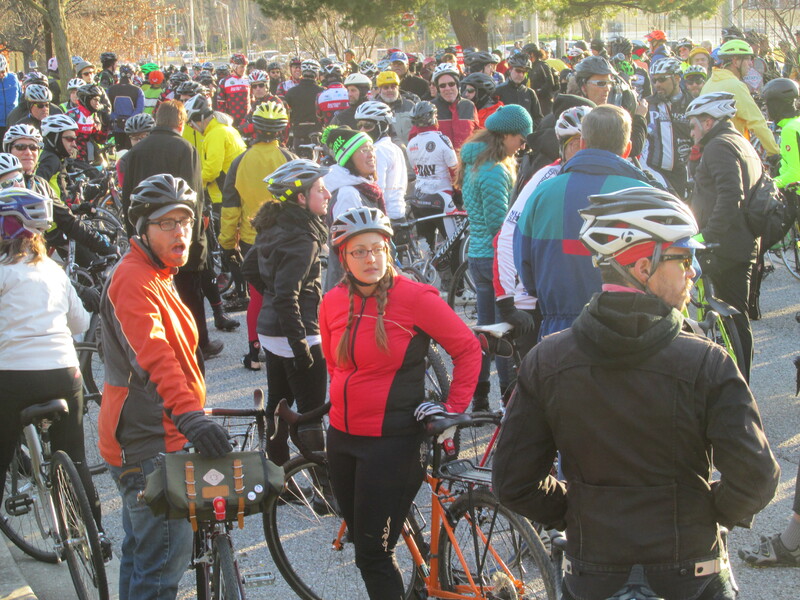 Maybe 1,000 or more avid cyclists and casual riders alike gathered in Baltimore at the Episcopal Cathedral of the Incarnation – a starting point with sad significance — and took over the streets in a sea of bikes on a 35 degree day as the sun faded, riding in solidarity to the spot where a cyclist was killed by a drunk and distracted driver. Tom Palermo, a cyclist, bike frame maker, professional, married father of two young children died Dec. 27 when hit from behind while riding in a bike lane on one of Baltimore’s more bike-friendly streets. The crime has attracted national and even international attention because of its egregious nature and the status of its perpetrator. Tom was run down by the second highest ranking bishop in Maryland’s Episcopal Church hierarchy, who had a flagrant previous arrest for driving under the influence. This time, the bishop drove away from the accident scene with a shattered windshield with a big hole in it from where Tom crashed through it. She returned to the scene later only after cruising by and being noticed by another cyclist who stopped to render aid, and who chased her down. She has been charged with manslaughter, driving with a .22 blood alcohol level (legal limit .08), texting while driving and leaving the scene of an accident. When I heard news of the accident and the impromptu plan for a New Year’s Day memorial ride for Tom, I felt compelled to be there. If there was ever a case where the saying, “There but for the grace of God go I” applied, it was this one. I imagine all the cyclists felt the same kinship. I had spent half of 2014 campaigning for Maryland state delegate, and used my bike as a campaign tool to go door to door and to advertise. The bike was equipped with a trailer with campaign signs on each side and in back. It did not earn enough votes to win, but it made campaigning more enjoyable and kept me in shape. However, I was often keenly aware how vulnerable I was – much more so than the one- to three-week long bike trips I’ve taken in my younger days. Most of the roads I traveled had no bike lanes or even shoulders, and traffic that could hit 40-50 mph or more. Drivers often seemed in a rush and distracted, oblivious to me. I was always one driver mistake away from meeting the same fate as Tom. The Baltimore cyclists rode three or four miles on Jan. 1 to a makeshift memorial with flowers and candles and messages where the accident happened, and solemnly observed a memorial session with Tom’s family and bicycle advocates as a community. A white “ghost bike” was locked to a pole in Tom’s memory. Many were angry – a homemade memorial featuring a bike wheel and bike seat stood in the road’s median, with the seat inscribed with “I Am Angry.” But this was a time to remember Tom and support his family. Justice would have to be sought later. The vast majority of the people at the ride had never met Tom, just like me. But there was an unmistakable feeling of connection, of familiarity. Tom was us, Tom was me. He was 10 years younger than me, but in ways similar. He had a boy and a girl, just like me, two years apart, just like me. He loved to ride, just like me. At his memorial, his family talked about how hard it was for Tom to find time to ride in recent times, with a young family, a full time job as a software engineer at Johns Hopkins Hospital and a side business. I could relate to that; when my kids were 6 and 4, free time was at a premium. On a sunny and relatively mild December Saturday afternoon, Tom had been able to carve out some time for himself and had gone out for a ride, and never came back. It was unbelievably, crushingly, maddeningly sad. The light amid the darkness was the spontaneous reaction of people to be there, that people cared about what happened and showed it through their actions in what can often be a cold and uncaring world. That it mattered to be there. That all the texting and Twittering and Facebooking could not substitute for being present, for joining a brotherhood and sisterhood with a common avocation to acknowledge one of their own. I had debated whether or not to go – it was cold, I wanted to relax at home on a day off. But when the time came, I knew I would regret inaction, so I went and I’m glad I did. It was among the most moving events I have ever experienced, largely because of its spontaneity. A thousand cyclists claiming their piece of ownership of the streets – if only for an hour – is quite a spectacular sight. As I have reached well into midlife, I have become more and more aware of mortality. This is nothing unusual. But incidents like Tom’s just serve to remind me – I don’t know when my number is up. Life does feel more precious; it becomes more urgent to strive for fulfillment, meaning and self-actualization. Perhaps there does come a point in everyone’s life when there is no more time to wait for tomorrow or someday. A week or so after Tom’s accident, we heard about ESPN’s Stuart Scott – BOOYAH! – passing away after a long fight with cancer. He was two years younger than me. I imagine I will often think of Tom when I ride. 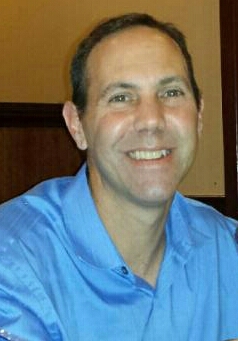 I have thought about him every day since the memorial ride. 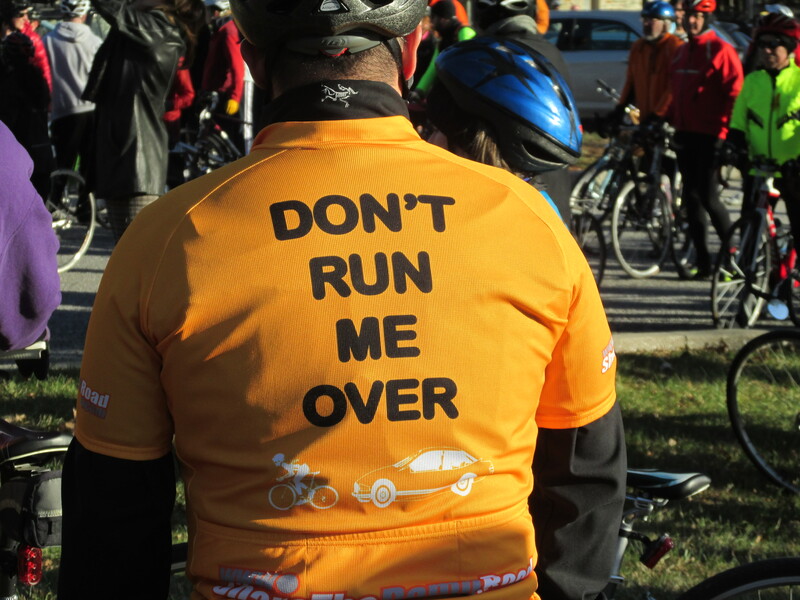 And like every other cyclist there that day – I would bet my life on this – I am not going to stop riding the roads. It comes with some risk, but so does life. I never knew Tom, but I wish I did. I have a feeling I would have liked him. I wish the best for his family.